EcoCircuitos is specialized in educational travel experiences. Our guides are experts in their field and provide in-depth insights and understandings from culture and history to biodiversity. These understandings foster authentic travel experiences as well as responsible encounters between travelers and nature, biodiversity and local people. Contact us and experience the real #Panama. One of the most interesting ants of the tropics are the army ants, which march through the rainforest with the sole intent of devouring small creatures within minutes, turning them into carcasses. The army is like a wolf pack, but with thousands of miniature creatures of prey merging and uniting to form one great living organism. Army ants´ jaws are so potent, Indians once used them to suture wounds. The determined insect was held over a cut and its body squeezed so that its jaws intuitively shut, clamping the flesh together. The body was then pinched off and the wound left to heal. 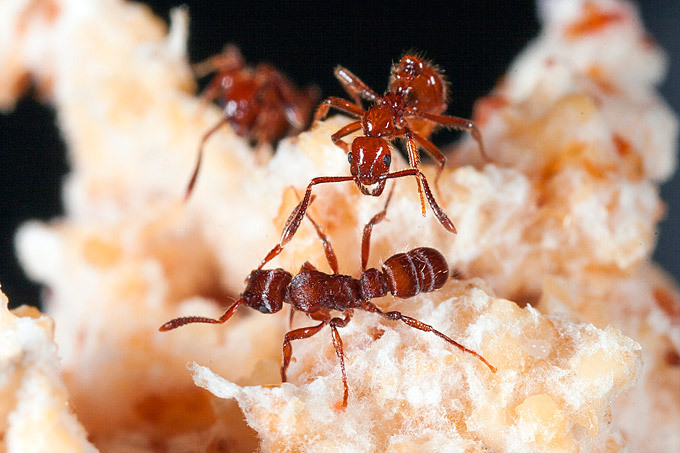 Another feature is that, unlike most ant species, army ants do not construct permanent nests; an army ant colony moves almost incessantly over the time it exists. All species are members of the true ant family, Formicidae, but several groups have independently evolved the same basic behavioral and ecological syndrome. This syndrome is often referred to as “legionary behavior”, and is an example of convergent evolution. 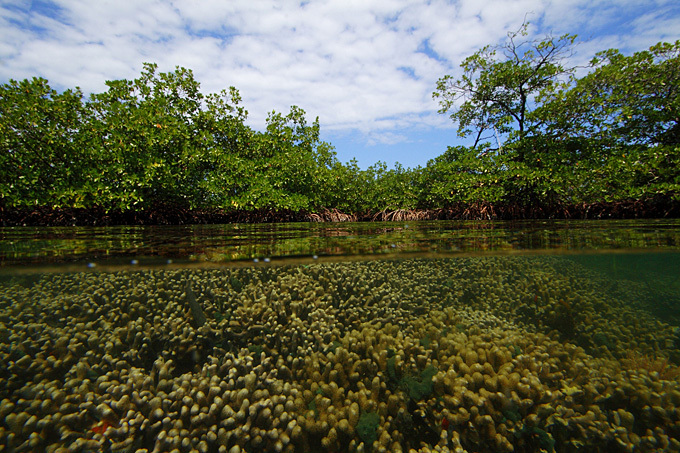 Snorkel-perfect coral reefs in the calm, mangrove-fringed waters of the Bocas Del Toro Archipelago are expected to be among the hardest hit by warmer temperatures that lead to coral bleaching and mortality, a new study finds. 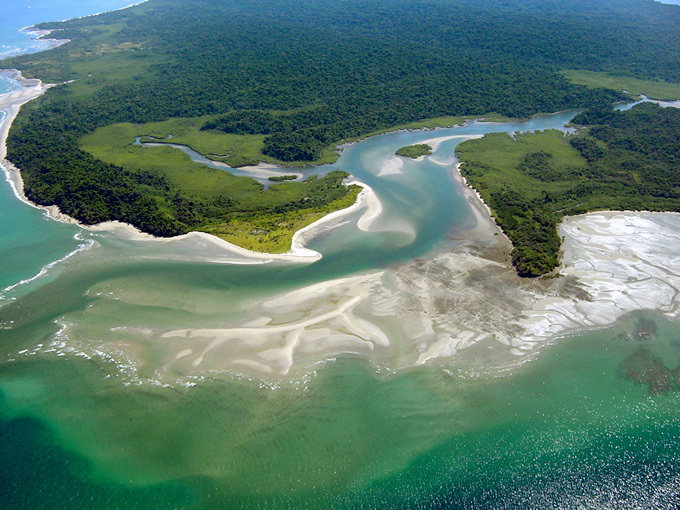 These shallows in Panama’s Caribbean are characterized by low water flow, allowing water to reach precariously high sea surface temperature (SST) when compared to areas with greater water movement. Angang Li and Matthew Reidenbach of the University of Virginia tapped into a wealth of long-term monitoring data collected by STRI scientists around the Bocas Del Toro Research Station, including coral bleaching records. Their models were published this May in the journal Coral Reefs. There are some caveats. The key to heat-induced coral bleaching is not a single blast of hot water, rather long-term exposure to above-threshold temperatures. This is measured in degree heating weeks (DHW). By the end of the study period DHW >8 °C-weeks were modeled for the bay. The National Oceanic and Atmospheric Administration (NOAA) predicts widespread bleaching and significant mortality under these conditions. By comparison, DHW values during a 2010 Bocas bleaching event ranged between 2.3 °C-weeks and 9.5 °C-weeks. Some coral species may adapt to higher temperatures. The study’s models predict that areas flushed by cooler water will have a higher chance at surviving well into the future. Li and Reidenbach studied modern water-flow patterns, simulated heating scenarios for the 2020s, 2050s and 2080s, and quantified local thermal stress on coral reefs. While previous studies have looked at SST impact on corals at a large scale, the researchers focused on a much smaller spatial scale, which is less common. The fine scale of their work better lends itself to the creation of mitigation strategies for marine protected areas in Bocas. “Our findings are also likely applicable to many coral reef regions worldwide, and in particular reefs that are found in shallow and partially enclosed coastal regions with long water retention times,” they conclude.